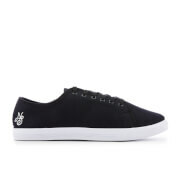 Men’s ‘Flex Advantage 2.0’ black trainers from Skechers. Crafted with one piece, breathable Skech Knit Mesh uppers, the lace-fastened sneakers are designed to keep your feet cool and comfortable during training. The trainers are detailed with stitched accents on the sides, a signature ‘S’ logo to the outer sides and synthetic overlays for increased durability. Set on a contrast sole, the trainers are constructed with a Dual-Lite shock absorbing midsole and a flexible rubber sole for added traction. 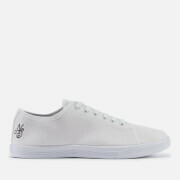 Complete with a padded tongue and ankle collar, an air-cooled, memory foam cushioned insole and a soft fabric lining for comfort. A spare pair of black laces is included.